The Vigor2912 was designed for small office applications that helps your businesses achieve the goals of business growth, innovation and responsiveness. The DrayTek Vigor 2912s' dual WAN load-balance and redundancy ensures your office stays connected. Your network security is protected by robust firewall and Web Content Filtering (optional / license required). All of your subscribed bandwidth can be easily allocated to the essential applications (e.g. VoIP) by utilizing the advanced QoS settings. The VPN tunnels cover the needs of the inter-office / remote access via multiple protocols. The secure Wi-Fi network enables the office environment ready for the trend of BYOD (Bring Your Own Device) to enhance the productivity. 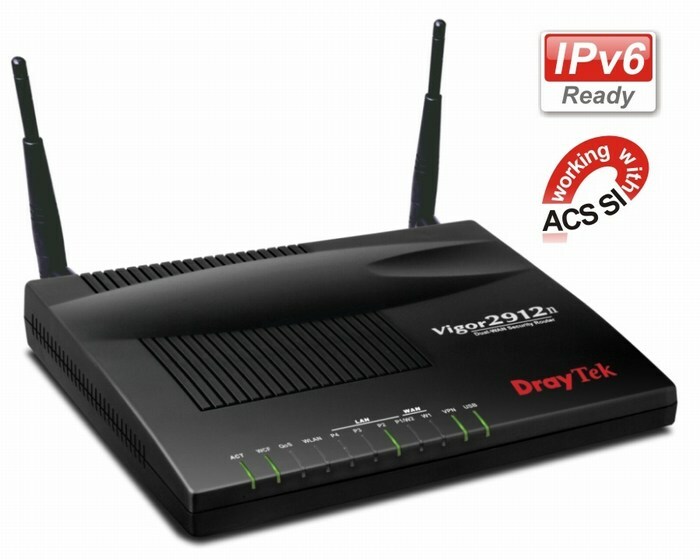 At last but not least, the Vigor2912 Series supports the IPv6 for the seamless migration. NOTE: This product does not incorporate a built-in modem. 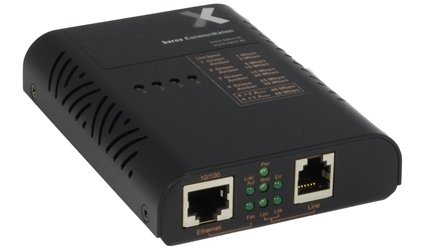 To use this product you will need either a Cable Modem or DSL Ethernet Mode. Dual WAN load-balance and redundancy The Vigor 2912 offers two fast Ethernet WAN interface ports (LAN port 1 can be configured as WAN 2.). You have the flexibility to choose different Internet feeds based on the local High Speed Internet plan offered by the ISP and utilize multiple connections via dual WAN load-balance and redundancy. Enabling both WAN 1 and WAN 2, 2 WANs share Internet traffic requirements of your organization (load-balance). During downtime, you will always have an access to the Internet even if one of the WAN fails (redundancy). 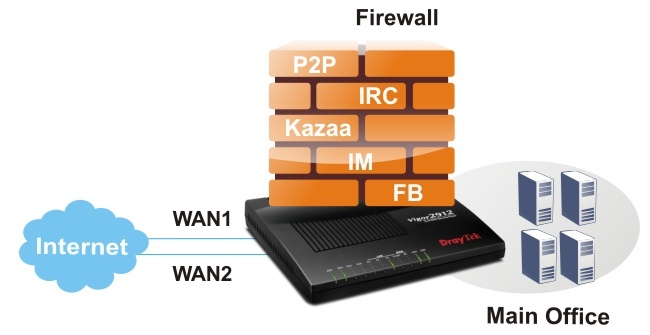 VPN for Secure Inter-Office / Remote Access The Vigor 2912 supports up to 16 LAN-to-LAN VPN tunnels secure remote data access, such as inter-office, or home-office communication with multi-protocols: PPTP /IPSec/L2P/L2TP over IPSec. 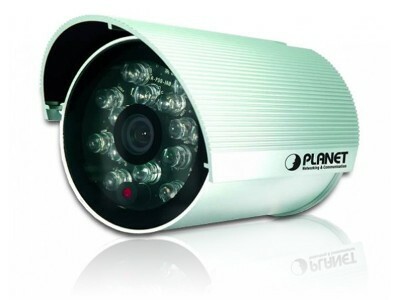 Its advanced AES/DES/3DES encryption and IKE Authentication provides you with strong security. The dual WAN feature can not only allow you to run load-balancing but also backup. If the main VPN fails, the second VPN takes over. 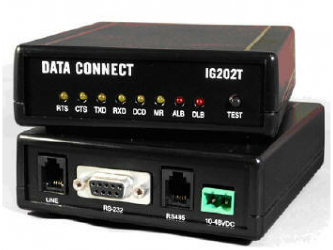 The Vigor 2912 supports Object-based SPI firewall to set of Call/Data Filters and DoS/DDoS prevention. You can use pre-defined objects or groups for IP, service type, keyword, file extensions, etc., and mix these with the Time Scheduler or the VLAN groups as required. The Web Content Filter (optional), powered by the Commtouch Web WCF of Content Security Management (CSM) eases configurations to prevent access to inappropriate sites. The IM/P2P/Protocol filter and URL Content Filter are also available in CSM. 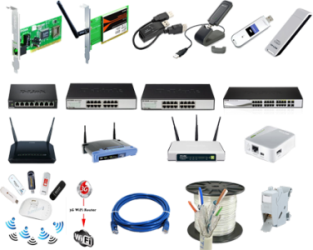 Your network security is fully managed by the Vigor 2912. Small offices normally choose the affordable Internet plans in lieu of increasing cost for bandwidth over 100Mbps. Hence, how to reserve and prioritize bandwidth for the essential applications is critical to operation. 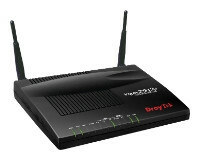 The Vigor 2912 includes VoIP QoS to guarantee the priority for VoIP calls automatically once a VoIP call is detected. In addition to QoS, you can manage the bandwidth consumption of every employee based on the individual IP via Session Limit and Bandwidth Limit. The Smart Bandwidth Limit allows you to only set bandwidth reservation for PCs operated essential tasks. Other PCs have the session limitation to prevent the inappropriate usages (e.g. P2P download). 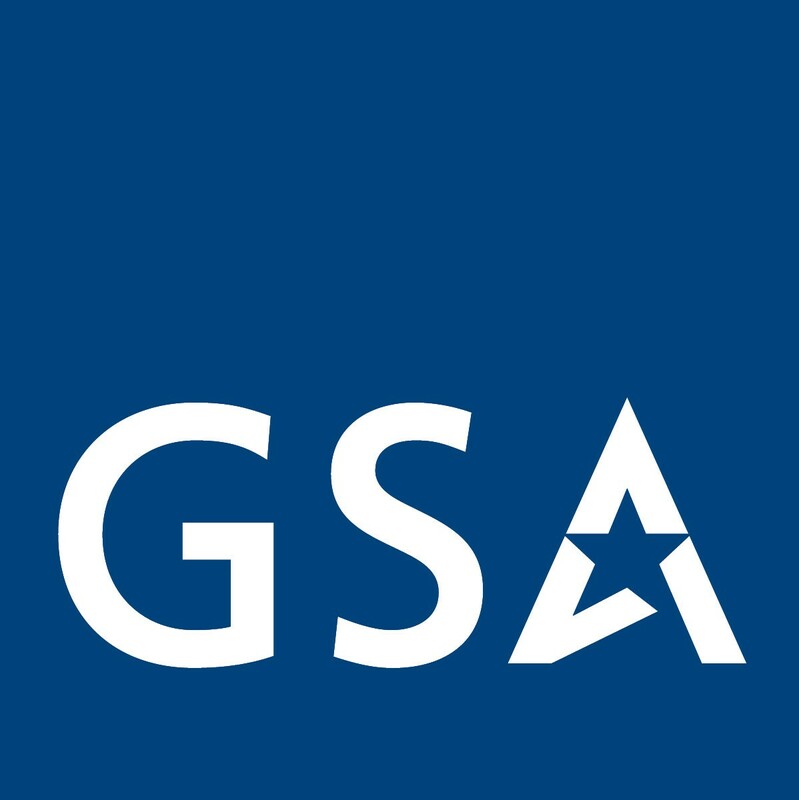 Once exceeding the limitation, their speed rates will be downgrade to your customized numbers. You can guarantee all subscribed bandwidth to have proper usage.